hubby, my niece and i have always been fond of ice cream. 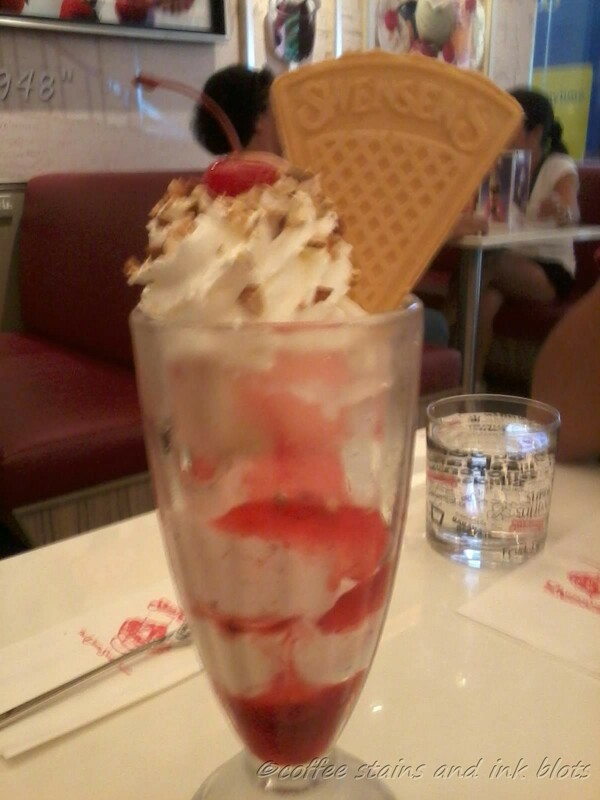 ever since this ice cream parlor opened in Mall of Asia, we have been eyeing to try it out. 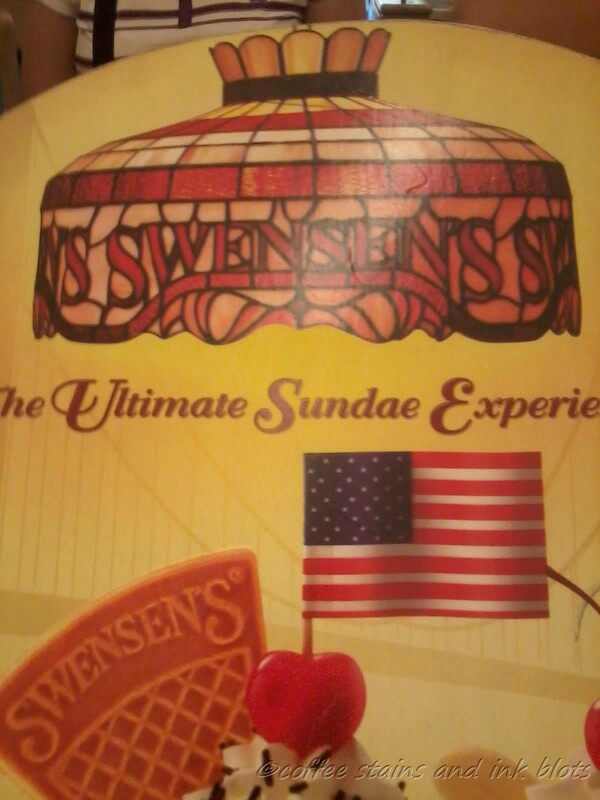 so one afternoon, we decided to fulfill our sweet cravings at swensen’s. 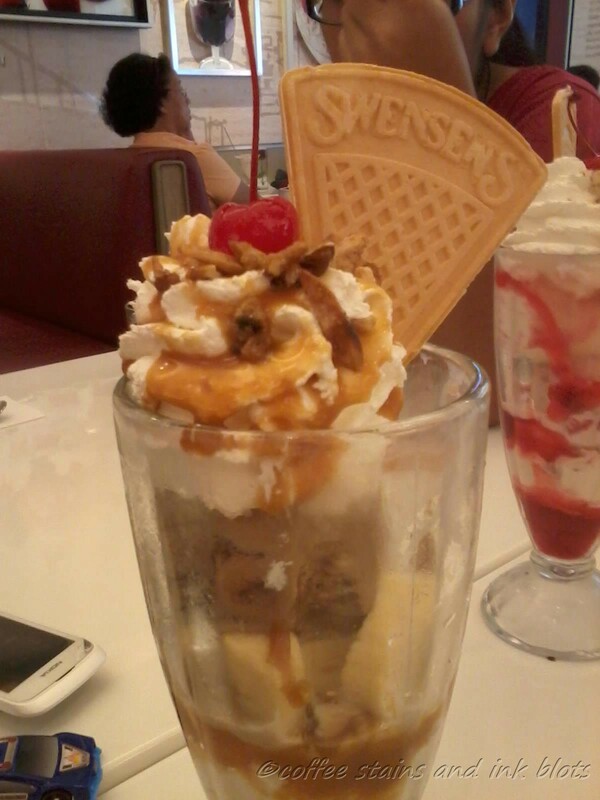 they have a menu with extensive offerings of sundaes, parfaits, shakes and other ice cream creations that would suit whatever you want in an ice cream. the place was also warm and cozy, servers are very attentive, and we especially liked the glasses in which the water was served. once you sit down on your table, they immediately serve you water. 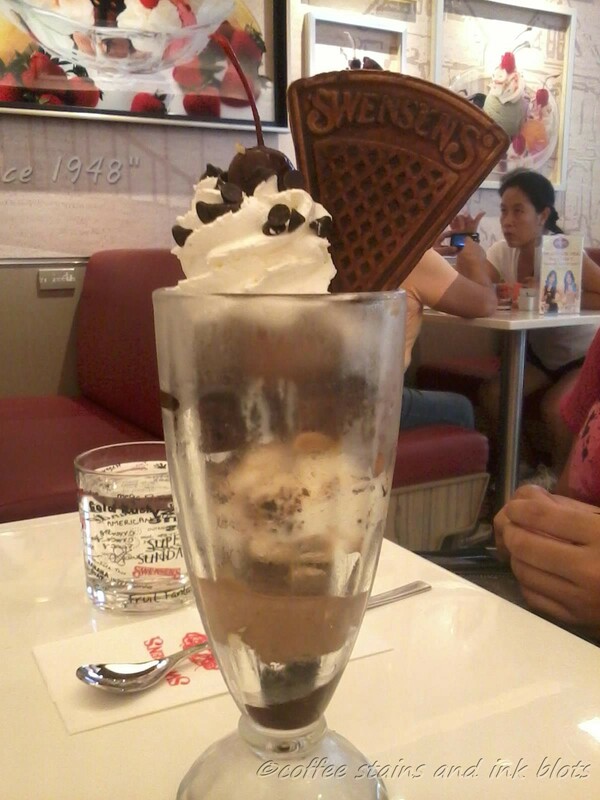 this is nice since you need to wash away all the sweetness you will have from the ice cream. we liked how each of our orders were a balance of sweetness, crunch and other flavors. i loved the macadamia ice cream and caramel syrup on my ebony and ivory order. 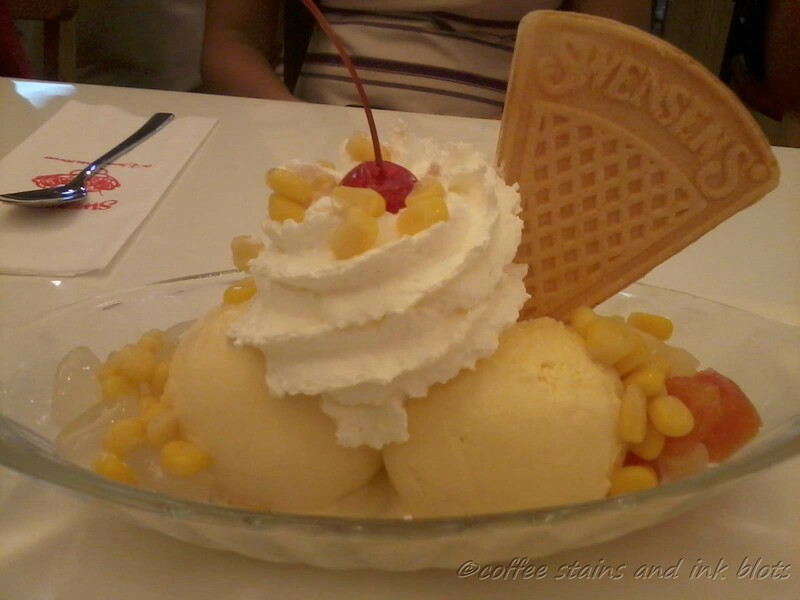 the sweet and gold on the other hand has nata de coco and corn kernels. 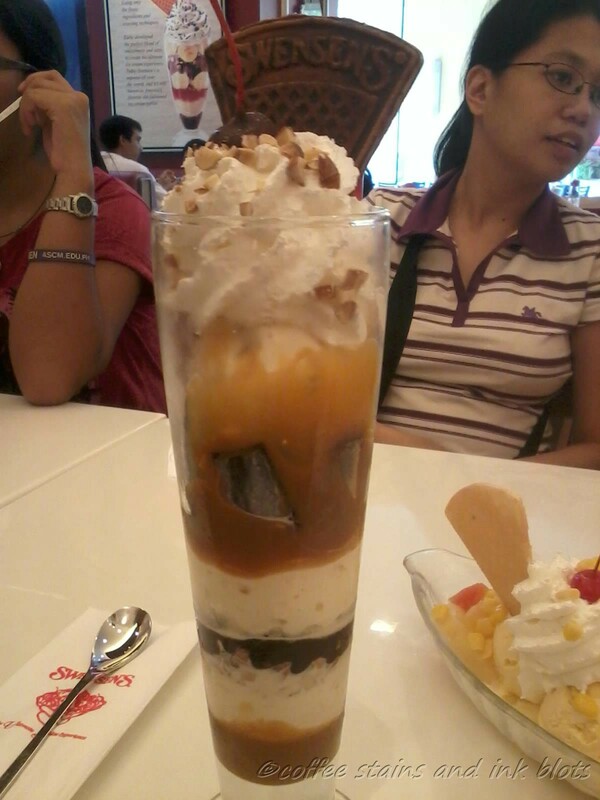 one could also create your own concoctions by choosing your ice cream flavor, syrup and toppings that you want. the price is a little high for just an order of ice cream, but it would be a good indulgence once in a while. will definitely go back to try their other offerings.